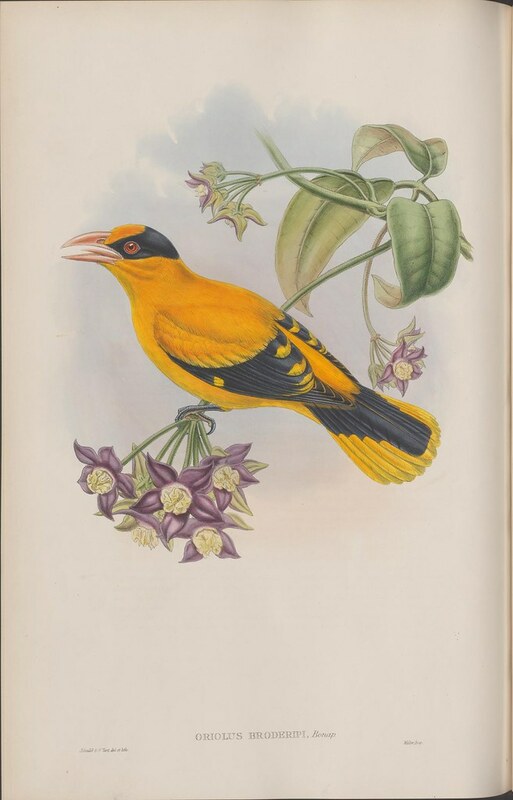 volumes of Gould's seven volume series on Asian birds. 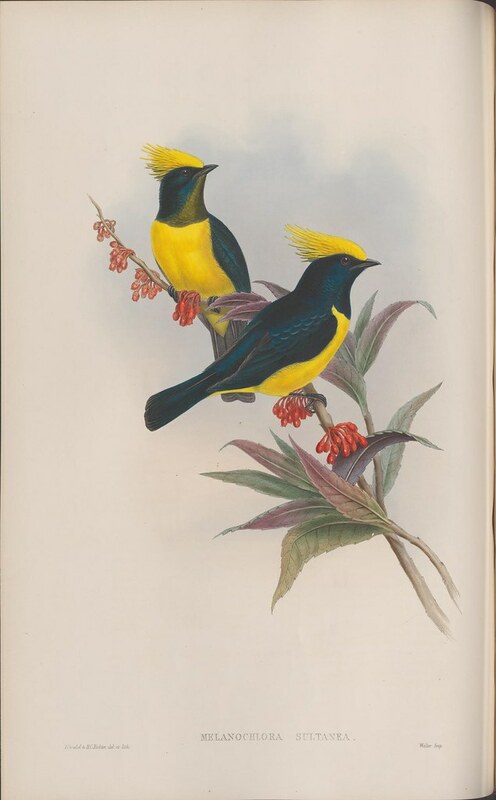 Charles Darwin consulted with Gould in relation to birds that were collected in the Galápagos Islands during the voyage of H.M.S. 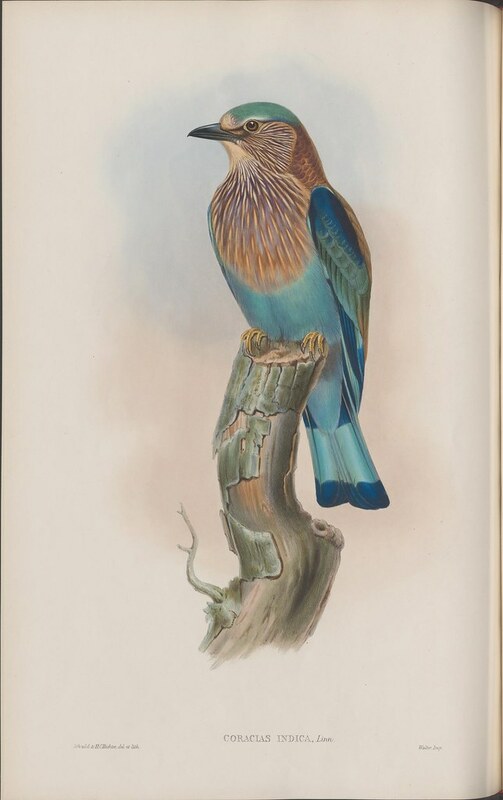 Beagle. 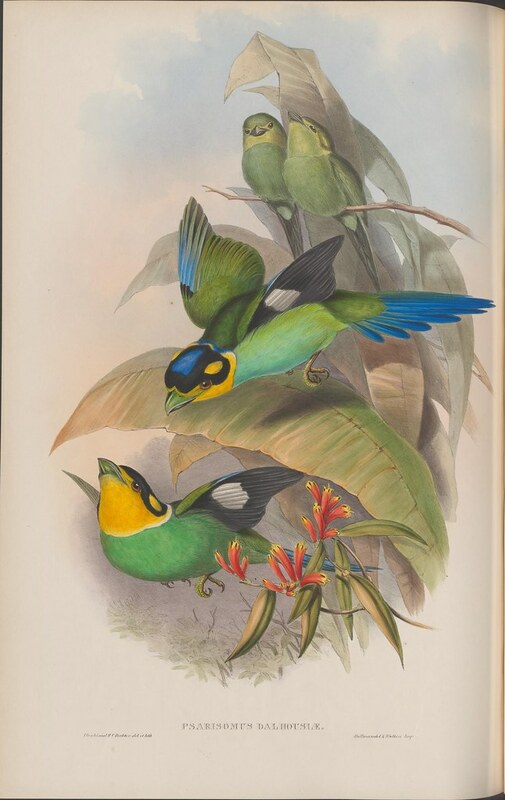 Gould corrected Darwin's assessment of the unique species, providing pivotal analysis and identification of both birds and some animals. 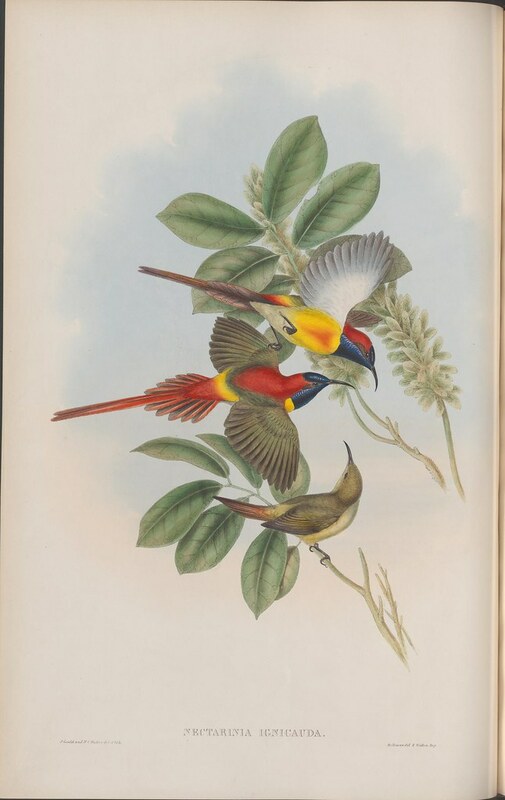 The information Gould provided - particularly about the variation of Galápagos finches - was combined with knowledge of the specific islands where each specimen was collected. 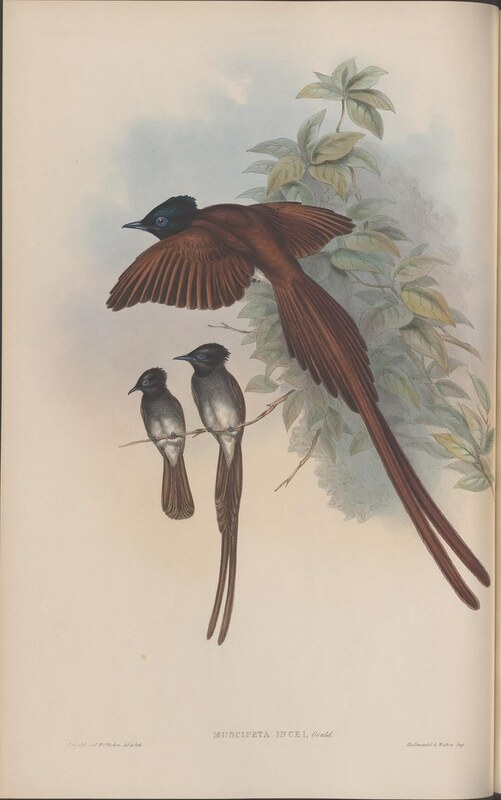 Comparison between the island birds (and against comparable mainland species) was an important catalyst in Darwin's formation of the theory of evolution by natural selection. 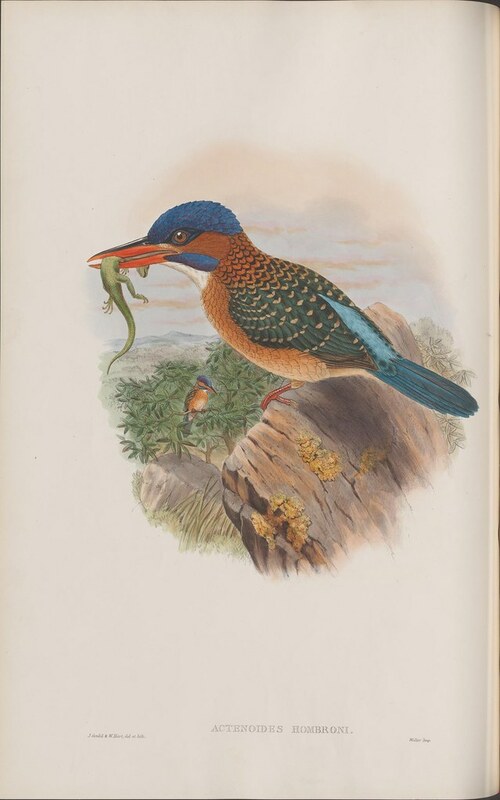 Gould's conclusions were published in Darwin's 'Zoology of the Voyage of H.M.S. 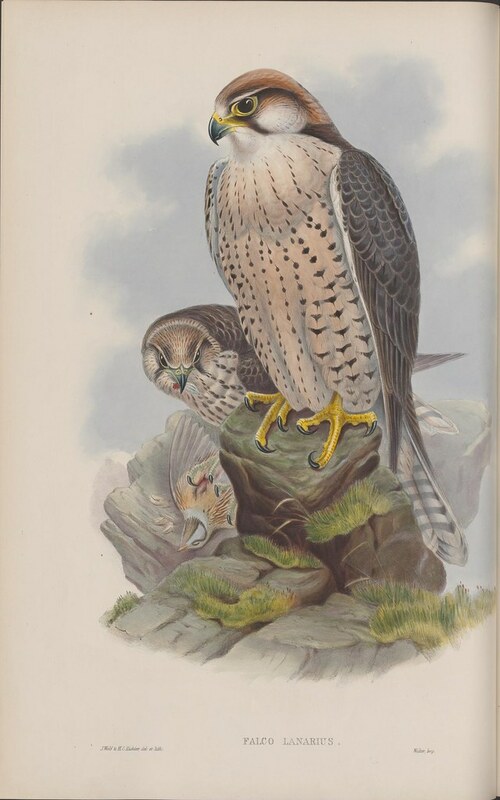 Beagle' in ~1840. 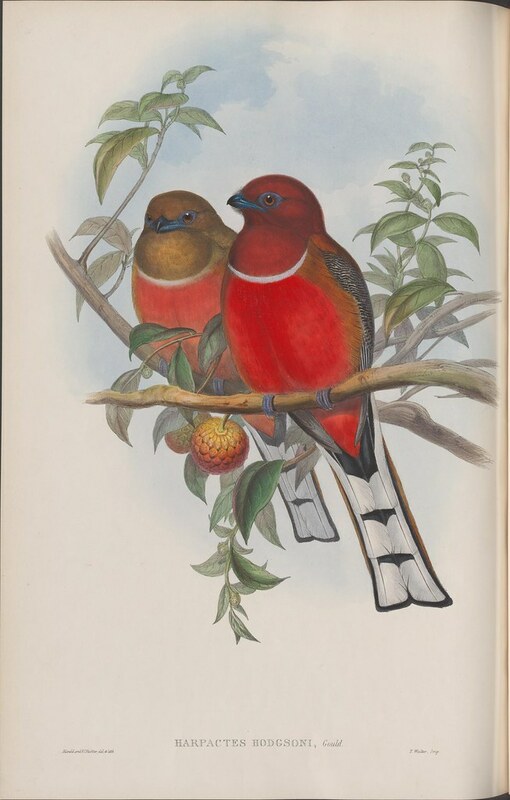 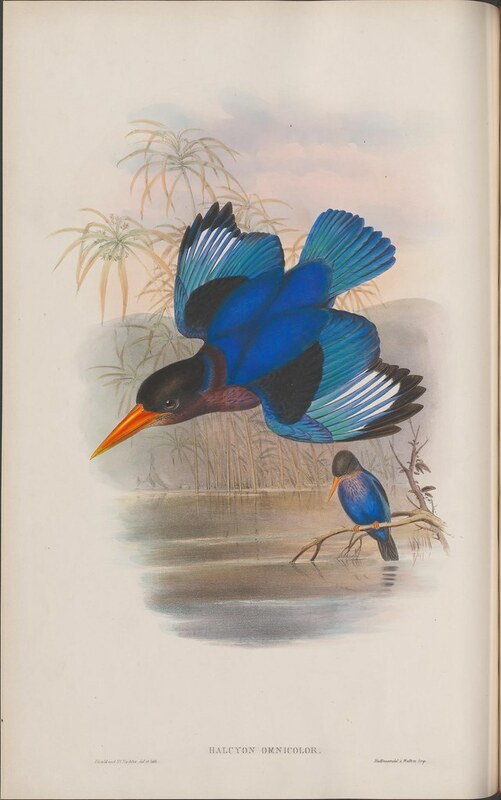 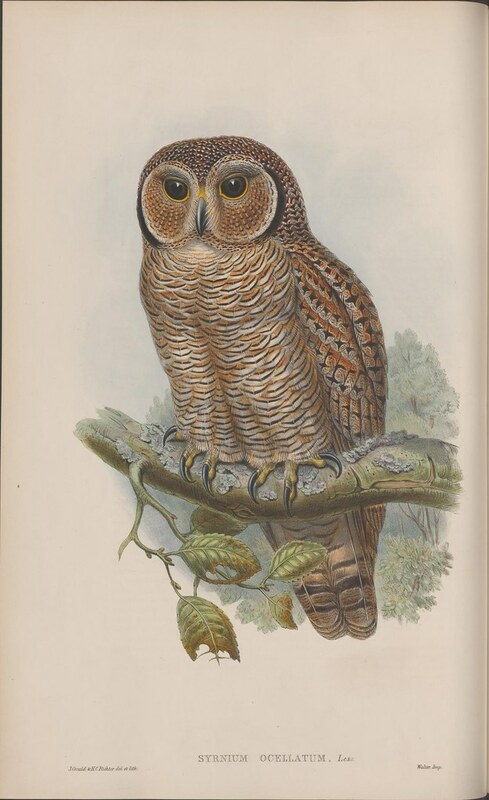 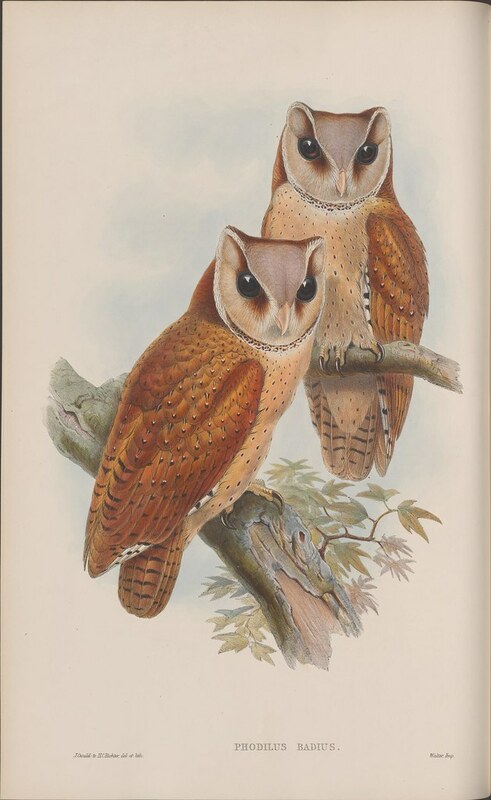 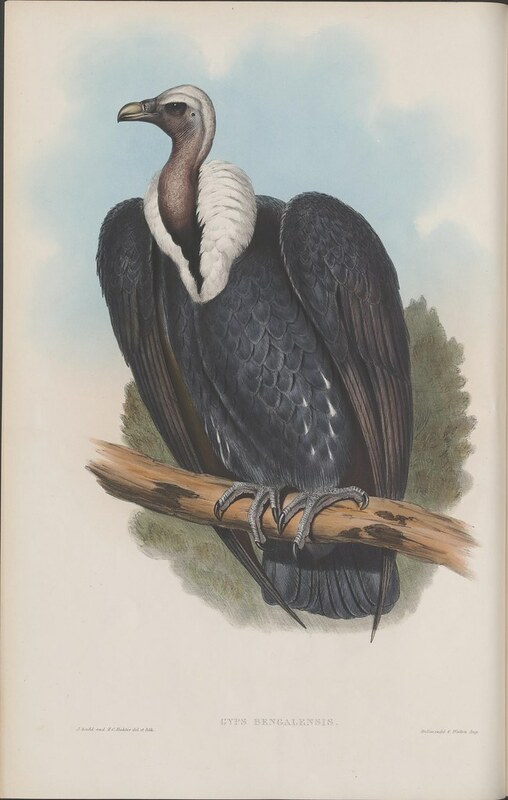 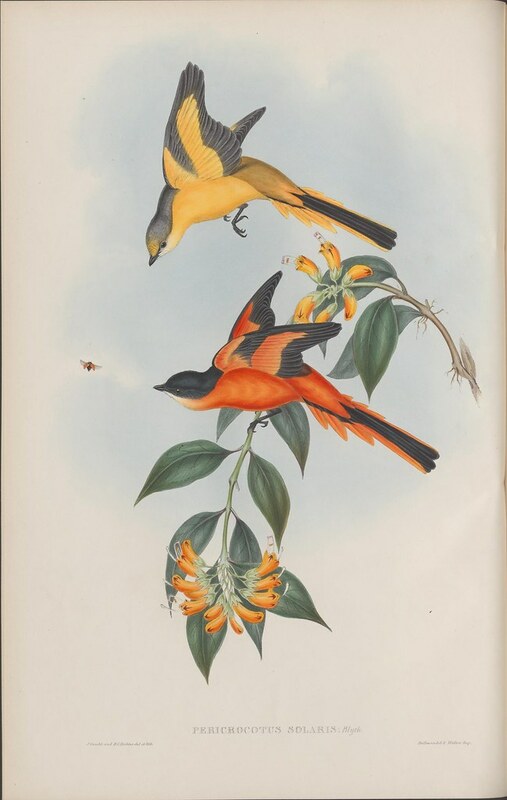 'The Birds of Asia' by John Gould was published in London between 1850 and 1883 and all seven volumes are owned by BPU Neuchâtel and hosted on the Swiss E-Rara digital collection portal site. 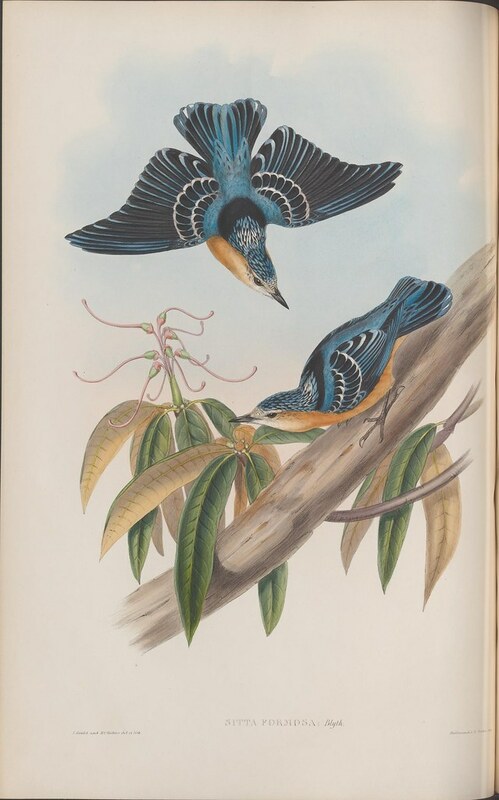 Entry on John Gould in the 'Australian Dictionary of Biography'. 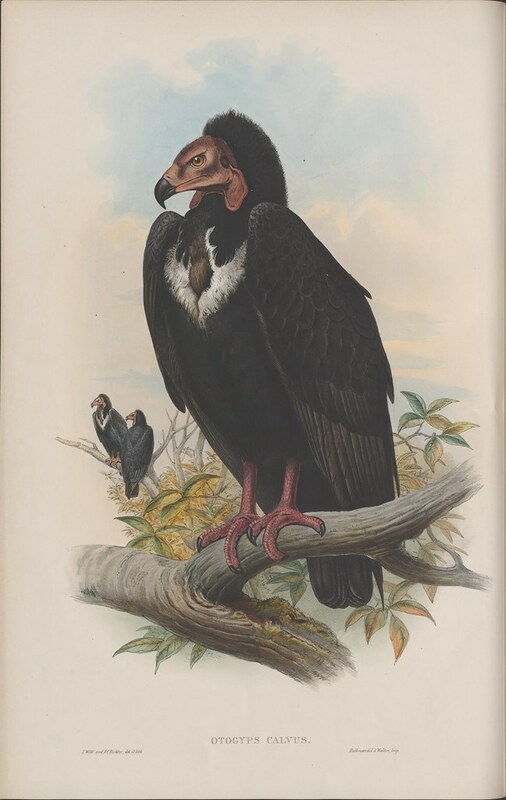 The Austaralian Museum has a fairly extentisve site devoted to Gould and his life and work. 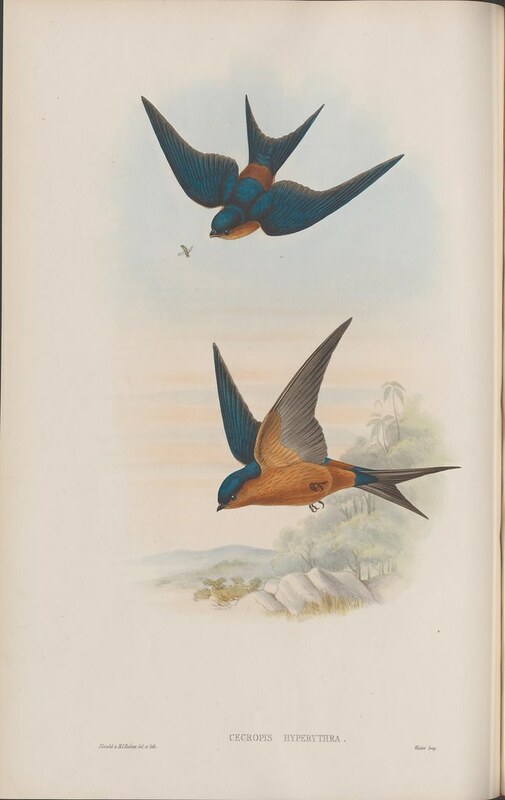 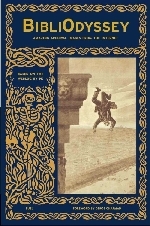 John Gould works available from Amazon. 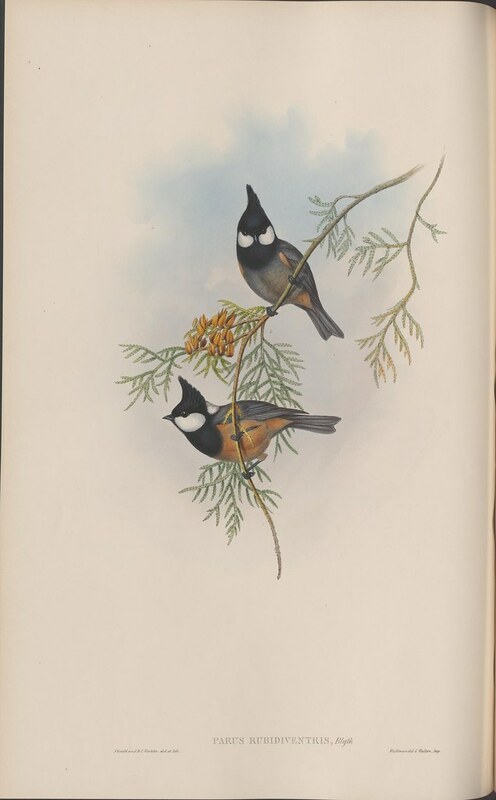 A 1968 review in La Troble Journal of the few original Gould sketches held at La Trobe Library in Melbourne. 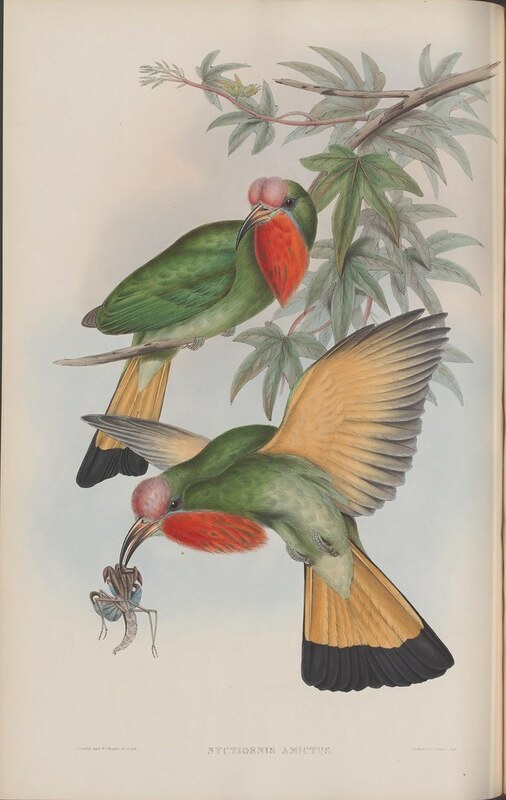 Previous post featuring John Gould monographs: Gould Hummingbirds - The Trogons and, more generally: science | fauna.